This should be interesting. In fact, I almost didn't accept this book for review because I could imagine people's reactions to seeing something about Sarah Palin on my blog. But I have loved every book by Stephen Mansfield I've read. I find his books about the faith of politicians to be compassionately written with deep respect for the faith journeys of his subjects. He does write from the viewpoint of a person with faith and conservative values but never ever writes about his subjects as less than fully human. I am always moved by the insight I gain. It's a good reminder for me, I tend to want to write politicians off, but this book more than any other explores the cruel landscape of politics and the kind of courage it takes to even enter. There's a co writer for this book so I'm not sure exactly what each writer contributed, but this one does seem to want serve as a tool for understanding the potential Sarah Palin could have in the future. Now, some background on me. When John McCain announced Sarah Palin as his running mate, I cried a little. I had no idea who she was, but I was raised Republican and I could recognize the significance of the moment. Sadly, I don't think Sarah Palin was ready for politics on such a huge scale. Even so, I have never been comfortable with the way the country treated her. The book opens up with several examples of how was treated in the media. I confess, I have never understood the sheer hatred from her political opponents. (apart from the anger that defines American politics today which the book also talks about a little.) Comments appearing in the New York Times along the lines of she's better suited as a calendar model, should make everyone feel ashamed. It's certainly not a sign of progression. Anyway off my soap box, the book opens talking about her parents and their decision to move to Alaska and how deeply the land of Alaska itself is a part of who Sarah Palin is. I found this part really interesting, about her deep love of the land and the way it's a part of all Alaskans. It's certainly true from the transplanted Alaskans I've known. The authors suggest that this connection with the land and the sort of pioneer lifestyle she grew up in was a huge disconnect with the lower 48. It informs her politics even now, a support of federalism--states determining what's best for the state. This, I admit, is a shared value. She also became a long distance runner, she was a bookish introvert growing up and nourished a healthy inner life. Every task set before her she did to the best of her ability even if she wasn't the exact right fit for the job, as evidenced in her basketball accomplishments. And as a teen she was deeply devoted to her faith, she attended a church with a rich community life, a strong belief in engaging culture to transform it, and a purpose for everyone's life. Her youth pastor planted the early seeds of politics in her mind. nd unreported went the ennobling impact of Wasilla Assembly on Sarah Palin and the reality that much of what she had achieved had been due to the faith, character, vision, and discipline that had been pressed into her life by that same Pentecostal church. But there is a larger issue than one campaign. The presence of Sarah Palin on our national stage presses the question of Pentecostalism's acceptance in American society, and this is a question whose answer is long overdue. Pentecostalism is, after all, the preferred religious expression of a quarter of the world's two billion Christians, and it is also the most successful social movement of the past century. The book cites the many things said about her faith in the media, and trust me, they are troubling. Another point I found really interesting is that the authors claim women's rights would never be Sarah Palin's top priority because of the acceptance of women as wise leaders in Alaskan indigenous culture. Her husband never had a problem with his wife rising in political power and her church fully affirmed the unique value and purpose of each woman's life. In short, she hadn't experienced the same kinds of difficulties other women may have faced. 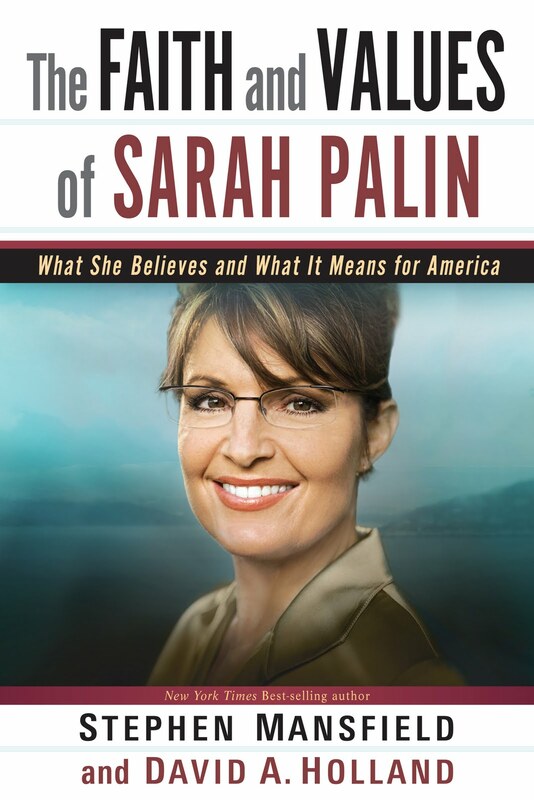 The book then details Palin's political journey. It seems her political career is marked by hard work, eagerness to learn, and acting on principle. She did not remain loyal to people who helped her rise in political prominence if she felt that their goals were at odds with what she felt was best for the Alaskan people. I know everyone got tired of hearing maverick and the like during the election, but she truly did some admirable gutsy things in Alaska. Finally, (can you tell the politics part bored me a little?) the book debunks some of the lies spread around about her and makes suggestions for what she'll need to do if she wishes to run for president in 2012. I was shocked to read so many lawsuits were brought against her when she got back to Alaska after the campaign that her legal fees were $500,000. This is a large part of why she resigned as governor. Apparently, this is not uncommon. Once again I really enjoyed this insight. I'm ashamed to say I think I paid too much attention to the media hype and I'm sorry that our media is so cruel to politicians, especially to someone like Sarah Palin who I actually believe is a good person. Her biggest crime was accepting a role she hadn't grown into yet. I'm sorry that the American media chose to attack small town life, a confident attractive woman, and a faith system as a result. This book really raised some interesting questions for me regarding intellectualism and politics. I think it's valuable to have all kinds of people in office. I'm not going to lie...the authors are sympathetic to a conservative viewpoint, but I'm not sure they are fans of Sarah or not. Their feelings about the liberal media certainly shine through, though! In case you think I'm some kind of crazy Republican (I'm not--I voted 3rd party last election) you can also read my review of The Faith of Barack Obama which I also loved. This was a part of the FIRST blog tour. You can read the FIRST chapter below.